Having a rabbit is a great adventure and a responsibility at the same time. These fluffy creatures are capable of loving you dearly but they are also quite sensitive, so they always have to enjoy the healthiest food and the best rabbit accessories on the market. If you don’t have the time to look for them yourself, we got you covered. After conducting a thorough market research, Dr. Fox agreed that a useful accessory for your bunny would be the Ferplast Krolik 140 Cage. The item is easy to assemble, is complete with all necessary accessories (drinking bottle, a hay feeder), and even comes with an extension for nesting in the shape of a comfortable wooden home. The wide opening front door makes maintenance operations easy. If this product is not available for sale right away, another option would be the Ware Rabbit Hutch Prem+. The product is complete with everything your bunny needs to live a long and happy life. It even comes with its own wooden house, suitable for when your rabbit wants some privacy. The cage features a wide front door to allow easy access for cleaning or refilling the rabbit’s food bowl. It is easy to assemble and provides enough space for your bunny to sit, stretch, play, and sleep. Some customers said the wooden house was splintered, so make sure it won’t hurt your rabbit. The cage is only suitable for one rabbit. Keep in mind that these creatures require a lot of free space to run and move. 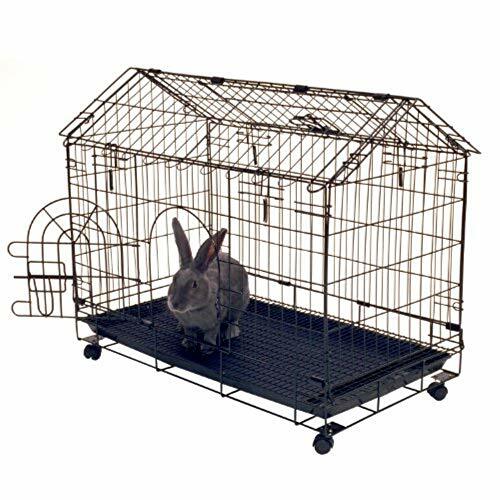 The cage is made of high-quality wood and comes with steel grates to prevent your rabbits from falling or running. It is completed with a “rabbit approved” hop-way door for easy access in and out. This covered cage will keep your pet sheltered from heavy winds, storms, rain, and snow. The floor consists of a grate with a pull-out tray for easy cleaning and sanitizing. The cage can be set up in your backyard. Bear in mind that rabbits have sharp teeth and might chew on the wooden cage and escape. This item is big enough to host a pair of rabbits comfortably and help them stay warm and sheltered from harsh weather conditions. Designed for indoor use, this cage is the perfect solution for small rodents like hamsters, mice, Guinea pigs, gerbils, and even rabbits. 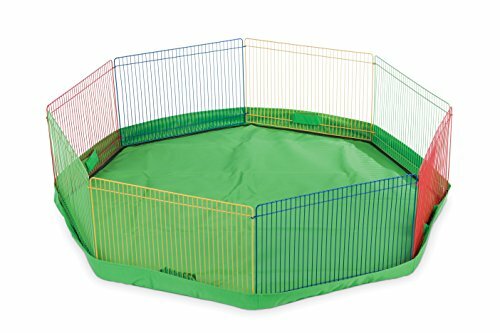 It comes with nine panels that are easy to assemble to provide a large and safe area for your pets to play, eat, sleep, and stretch. The panels can be combined with additional Playpen models to create a larger space for your bunnies. It is made of non-toxic materials. The cover mat is sold separately so we suggest you purchase one to keep your floors clean. The cage isn’t tall enough to prevent your bunny or other small rodents from escaping, so make sure you are up for the potential mess. If you want your bunny to enjoy a healthy and active lifestyle, you need to offer it various sources of entertainment, and a comfortable place to sleep in. And while we cannot choose just one, we came up with a list of products that might be suitable for your pet’s needs. Showcased below you can find everything you need to know about each of them. This cage comes with everything necessary to provide a comfortable living for your pet. It is equipped with a wooden house for naps and hiding, as well as with a water bottle and a food bowl. 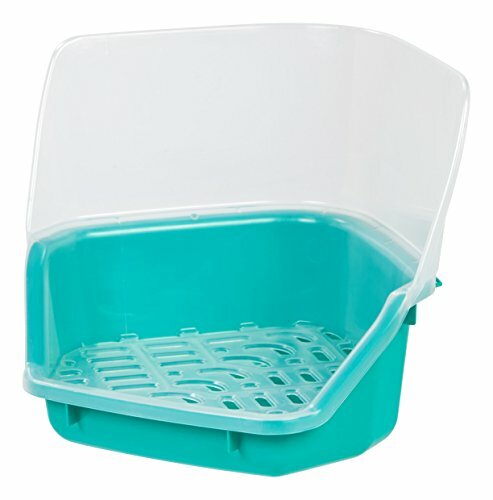 It is made of sturdy steel and comes with a detachable plastic tray for easy cleaning and sanitizing. The bars are non-toxic and safe for your bunny, as well as narrow enough to prevent your pet from escaping. The wide opening front door allows you to quickly clean the cage and refill your bunny’s food bowl or water bottle. Even though the cage is comfortable enough to host one adult rabbit, it might be too small for a pair. Keep in mind that rabbits require a lot of space to run, jump, and stretch their legs, so you may want to switch this cage for a larger one once your pet reaches adulthood. The item is made of solid wood and will shelter your bunny from heavy winds, storms, cold, rain, and snow. It won’t take too much time to assemble and comes with a “rabbit approved” hop-way door to ensure access. The full opening rooftop allows you to easily provide supplies for your rabbits or take them out of the cage and play with them. The product is large enough to house a pair of rabbits comfortably. It even comes with a detachable underneath tray for easy cleaning. The cage can be set up in your backyard or garden and, thanks to its tall legs, it will prevent your bunnies from escaping. Being above the ground also allows the cage to become warmer as it won’t capture the coldness from the soil during the winter time. Keep in mind that wood is no match for your pet’s sharp teeth so it may escape from it anyways. The item consists of nine different panels that can be put together to create a safe environment for your pet to grow and play inside your house. The total diameter created is of 36 inches, enough for all small rodents, including gerbils, hamsters, mice, Guinea pigs, and even bunnies (which aren’t rodents). The fence is metallic and sturdy and is made of non-toxic materials, meaning it won’t affect your rabbit’s health even if it chews on it. 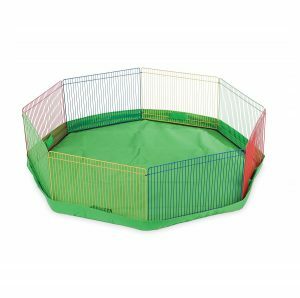 What we liked the most about this Playpen cage is that it can be combined with other identical products to create a larger space, meaning you can build an entire playing ground for all your rabbits. Although the item can be used outdoors too and set up directly on the ground, we suggest you assemble and use it indoors, especially during your rabbit’s first months of life. The cover mat is sold separately, and you might want to purchase one to keep away from stains, dirty paws, and urine. If you plan on keeping your pet indoors, make sure you know all about its routine and its favorite potty place. 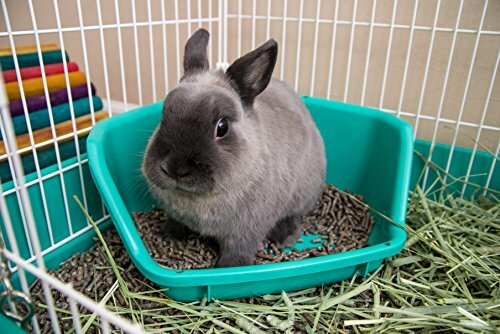 Contrary to popular opinion, rabbits can be easily trained to go to the loo using a litter box, as long as you study your pet’s behavior and find the corner of the room it prefers the most. This litter pan is specifically designed to fit in corners and comes with a tall plastic shield to prevent stains and leaks on your walls. The removable grid flooring is hygienic and won’t allow direct contact between your pet’s private parts and the urine or the feces, protecting its fur, and keeping it cleaner for longer. The floor can be filled with pellets, absorbent sheets or sawdust. This litter pan also comes with rubber feet to secure it to the cage. We all know that rabbits love a good challenge and hiding from the world is one of their most satisfying activities. This product is available in two sizes to fit rabbits of all ages, weights, and breeds. This extension tunnel is perfect for exercising, sleeping or hiding out. It is made of lightweight and breathable fabrics that won’t retain too much heat inside. The tunnel folds up for easy storage and can be placed anywhere you want – indoors or outdoors. It can even be secured inside your pet’s cage or attached to an additional tunnel to create a larger one. The polyester fabric makes a fun noise for additional amusement. 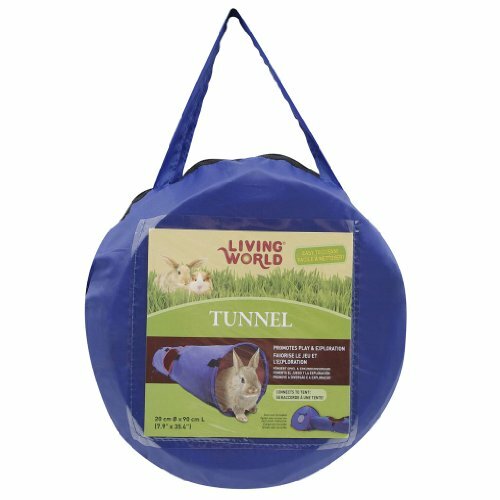 This tunnel will promote play and exploration, allowing your pet to sharpen its senses and improve its survival skills. Most customers who purchased this product for their animals said it represents the perfect toy for exploration and fun. This cage is large enough to host one adult rabbit comfortably. It is made with strong wire and an arched roof to provide improved protection for your pet while also allowing maximum freedom of movement. 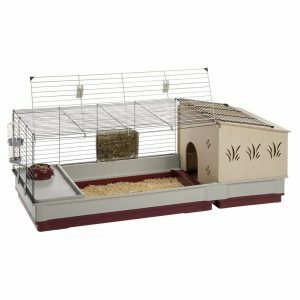 The cage is durable and spacious, and it is easy to clean thanks to the slide-out plastic pan. In just a few seconds you can remove the tray and wash it with mild water and soap and refresh your bunny’s bedding. What we also liked about this item is that it requires no tools to assemble. The setup will be done in just a few minutes if you follow the instructions provided. Anyone, including children, can assemble it. It also comes with two separate entrances on the top of the cage and on the front, to ensure hustle-free access for both you and your pet. Moreover, thanks to the four heavy-duty caster wheels, you will be able to move and place the cage wherever you want. Looking to make your pet’s stay more pleasant? 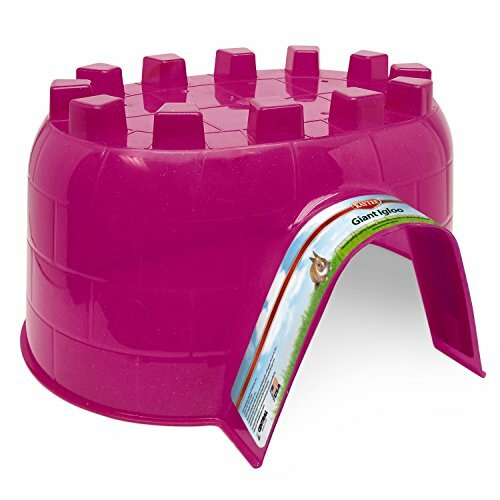 Why not consider some rabbit toys and accessories, just like this igloo? 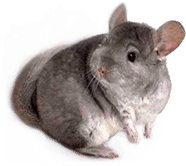 It is available in three sizes – mini, giant, and itty-bitty, suitable for all small rodents and pets, from Guinea pigs and mice to hamsters, chinchillas, and even bunnies (again, they’re not rodents). The igloo is made of semi-transparent plastic, and it comes in various colors, too. This will allow you to see whether or not your pet hides in it without interfering with its natural nesting instinct. 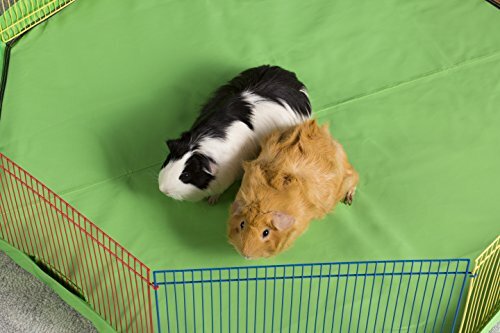 The one-piece construction is lightweight and won’t require any assembling, meaning it is ready to be put in your pet’s cage or playground area immediately. Most customers who purchased this accessory were happy with the large size that provides enough room for a medium-sized rabbit to sleep and even stretch its legs. However, the construction seems rather flimsy, and you might expect your pet to chew on it later on. This set is specifically designed for small animals, including rabbits. 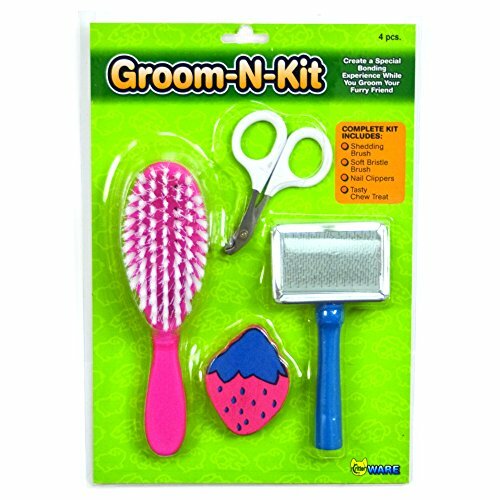 It can be used for trimming and grooming your pet and looking after its personal hygiene. It includes a pin brush that reduces shedding if used regularly, as well as a pair of nail clippers, and a bristle brush to stimulate the natural hair growth process. The set also comes with a tasty chew treat that will keep your rabbit in place while grooming. As most customers point, the clippers are safe and easy to use, without hurting your pet. They were designed with your small animal in mind and can be used on Guinea pigs or rabbits. All products from the set are made of high-quality and safe materials, so there isn’t any risk of infection or irritation while grooming. The brush with blue handles can even be used on bigger animals like cats and dogs, so it makes a great addition if you have a house full of pets. As we all know, most of these types of animals have an instinct for hiding and nesting, so you should take this into account when designing their cages or playgrounds. 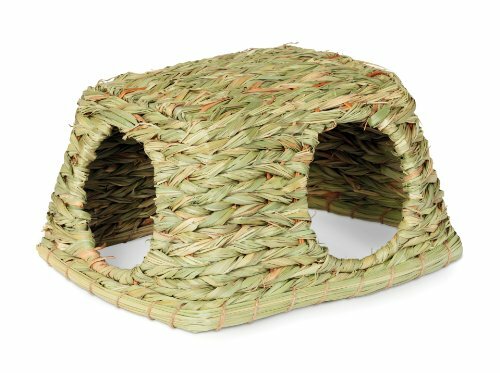 This hut toy is made of 100% natural sisal tassel, and it represents a perfect construction for chinchillas, Guinea pigs or small rabbits. It satisfies your pet’s natural instinct to explore and rest and can be used as a nest or an additional place to hide. Since it is made of natural fibers, it will also keep your pet warm and safe from direct sunlight or rain if you choose to set it outdoors. It has two large entrances for easy access, and the sturdy construction means it won’t flip or slide easily. Most customers who ordered this item said it is reliable and large enough for your pet to fit comfortably. It represents a great addition to your animal’s habitat and nursing females. This basket represents the ultimate bed place for your small companion. 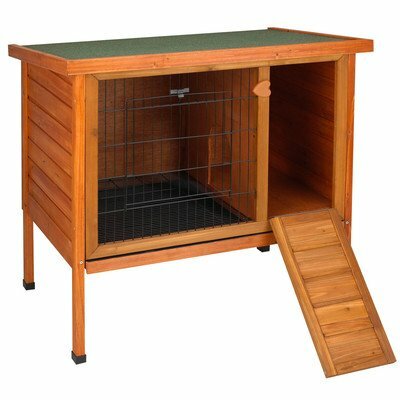 It is large enough to accommodate Guinea pigs, gerbils, and rabbits comfortably. It represents a healthy alternative for your pet not to hurt its paws on regular metal cages. It can be used as a bed, a relaxation corner, a food bowl or a place where you can store all your rabbit’s favorite toys and snacks. It is made of 100% natural grass and doesn’t contain any chemical dyes or colors that might cause allergies or irritations. It can even become your pet’s delicious snack if your friend enjoys chewing on hay. Pay attention since this product has so many uses, it can also serve as a potty for your rabbit. Whether it prefers eating it or going to the loo, ultimately you’ll have to replace this bed with another one. Finding the right rabbit cage accessories could prove a difficult task, especially with so many options available on the market. Some of them are designed to become delicious snacks, while others will keep your pet safe and comfortable. So, if you don’t know exactly which accessories to buy, here are some features you should take into account. Whether you’re looking for cages or pet bed accessories, one thing is clear – you need to focus on the materials first. Cages are best made of metal with detachable plastic trays underneath that can be easily cleaned, sanitized, and refilled with natural hay or rabbit bedding. Take into account that your small buddy loves chewing, so everything can turn into a delicious snack, whether you like it or not. Wood, plastic, hay accessories, paper, and even rubber can prove tempting for your furball. 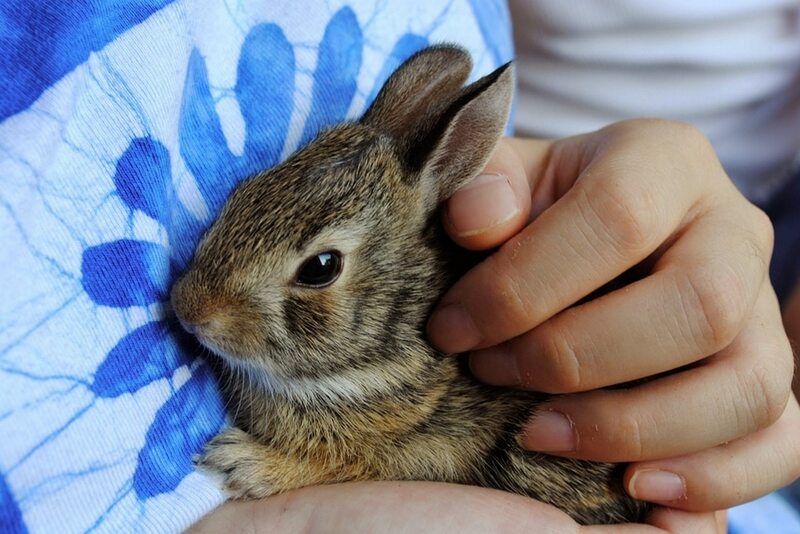 Therefore, we suggest picking pet rabbit accessories made of natural materials that are not harmful. Wood can turn into splinters or sawdust that might harm your pet’s mouth or paws, so, unless you can look after your rabbit 24/7, you should better avoid it. Plastic may seem like a smarter choice since it is somewhat sturdier but opt for BPA-free and non-toxic items that are safe and which won’t cause allergies or irritations. Hay is the perfect solution because it is both natural and edible. It can make for great rabbit home accessories such as hiding places, baskets, and even delicious treats whenever your rabbit feels like chewing. Another aspect to take into account when looking for dwarf rabbit accessories is their size. Whether we talk about cages, igloos or any other huts or hiding places, make sure these products are designed with your bunny in mind. The items should be wide enough to allow your pet to stretch its legs or sit comfortably. If we refer to cages, these should also provide enough space for your pet to walk or jump a few steps. Keep in mind that bunnies are active creatures that enjoy running and they don’t do well in cages in the long term. You may keep a cage as a hiding or sleeping place, but you should always leave the door open and allow your pet to get out and explore the rest of the surrounding environment. And if you’re not entirely sure how to pick the perfect cage for your friend, we suggest going through some online reviews of rabbit accessories and read the opinions of other customers. Last but not least, consider the efficiency of the house rabbit accessories you plan on buying. Although most of them come with shiny and alluring designs, you won’t need everything sold on the market. Chewing toys and snacks, alongside fresh and dry food, are a must. Rabbit teeth never stop growing, so you’ll need to find crunchy yet nutritious foods. Hay, pellets, and a combination of fresh fruits and veggies should be enough to maintain a healthy and balanced diet, offering all the vitamins and minerals required. Whether you prefer cheap rabbit accessories or go the extra mile for your pet, one thing is for sure – a comfortable bed is mandatory. 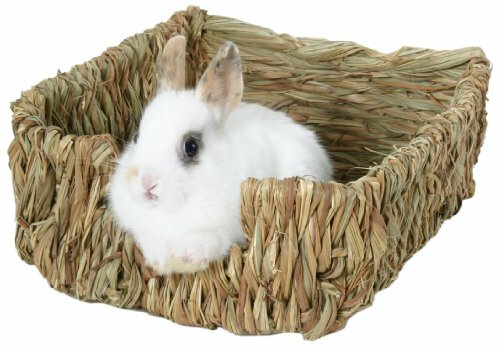 We suggest a hay basket or any other basket or bowl big enough to allow your pet to sleep, rest, and stretch its legs. As we’ve previously mentioned, cages are not necessary but could prove useful, especially during the first months of your pet’s life or when you want to transport it to another location. Just make sure it is sturdy and made of iron to prevent your rabbit from chewing on it and escape. Lastly, consider toys and accessories to stimulate its creativity and instincts. Igloos, tunnels, running wheels or stairs are all good rabbit accessories that will capture your pet’s interest.